A morning meeting for Music Mark Members, School members and Corporate Partners to discuss the DfE’s Model Music Curriculum draft and contribute to the overall Music Mark consultation. Music Mark’s CEO, Bridget Whyte, was invited in January to join the Expert Panel convened by the Department for Education (DfE) to discuss the development of a Model Music Curriculum. This Model Music Curriculum will sit alongside the existing National Curriculum for Music at Key Stages 1, 2 and 3 as additional non-statutory guidance for teachers. It is the fourth model curriculum to be prepared by the DfE, following the first three created for Maths, English and Science. As part of the process of developing this non-statutory guidance – which is it hoped will be published in late 2019 – the DfE are keen to ensure wider consultation. Music Mark has been given permission to carry out some consultation for its membership – whom Bridget Whyte represents at the Panel. Music Mark’s consultation will take place from April 25th to May 14th. Two meetings for Music Mark Members, School members and Corporate Partners: Thursday 25th April at NMPAT in Northampton; and April 30th at the Sage Gateshead. The meetings are free to attend. Places are limited and will be allocated on a first come first served basis. Online forum for Members only, to discuss and debate. Online Forum will run from April 25th to May 1st. A survey of our 5000 Music Mark School members, targeted at classroom teachers, for their valuable input at this stage. 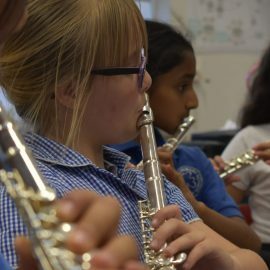 Music Mark aims to subsequently collate all feedback from its consultation and share the data with the DfE prior to final editing and the Minister for Schools, Nick Gibb, signing off the document for publication in July. Please note: It is Music Mark’s wish to involve its membership in this consultation and they have not been specifically asked to do so by the DfE. Music Mark is not receiving any financial or other support from them or the ABRSM to do this consultation of our Membership/Partners. The events, forum and survey is for Music Mark members only. More information coming soon on online forum and school survey.